Grilled cheese sandwich. With poutine inside. 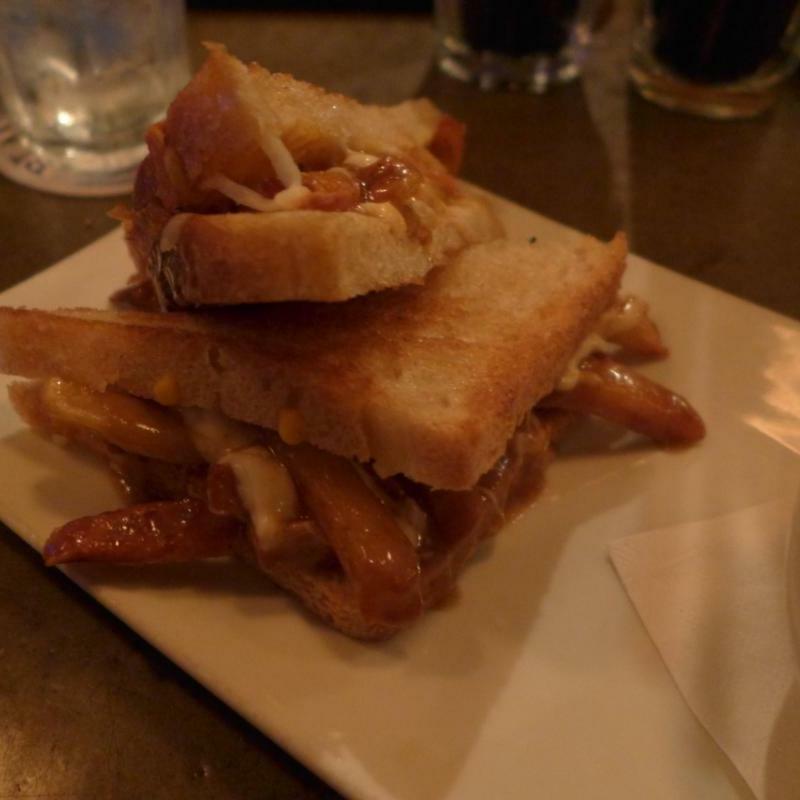 Crispy bread, crispy fries, cheese... Another fantastic Montreal creation. L'Gros Luxe in the Plateau. L'GROS LUXE 3807 Rue Saint-André, Montréal, Canada. Very nice cafe/bar too, with great drinks.